It’s not a dream, it’s reality. I’m proud and excited to hang the first new signs we’ve made to the U.S. Embassy to open next week in Jerusalem. This is a historic event and I thank president trump for it. Jerusalem is the capital of the Jewish people and now the world is beginning to acknowledge it. Happy Jerusalem holiday! 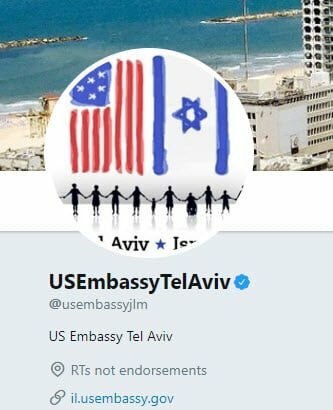 Meanwhile, the US Embassy changed their Twitter handle to @usembassyjlm, even though it still says US Embassy Tel Aviv as of the time of this post.